A multi-state, environmentally friendly energy supply company (name withheld to protect data) had been using another agency to drive search traffic and wanted to improve results. Four years ago, Zero Company was brought in to improve traffic, drive lead conversions and increase sales. The website suffered from poor design. Existing AdWords accounts had low quality scores and produced poor results. The client had very little exposure in the natural search results. Follow up on email was inconsistent. Zero Company implemented in-depth tracking down to the keyword level. We added regional landing pages to send traffic to and bypass the poorly designed main site. We built an auto responder series to move leads farther down the buying cycle. We improved the quantity and quality of search traffic with daily optimization. The custom landing pages improved lead conversion and AdWords Quality Scores. Prior to our changes to the lead funnel, the account averaged 55 leads per month at $44.18 per lead and a 2.06% conversion rate. Optimizing traffic and the lead funnel, we immediately increased conversions to 96 leads in Google at a cost of $7.46 per lead and a 12.58% conversion rate. 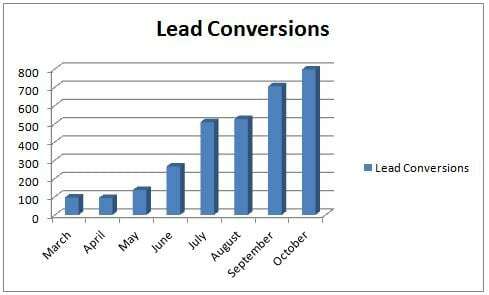 Conversion rates continued to climb to above 20% through Zero Company optimization. Localized ad copy for specific states and cities. Extensive ad split testing to constantly improve ad CTR (click-through rate). Results in higher Quality Scores. Location-based bidding – now currently targeting 9,171 locations in the U.S.
Day parting to push ad spend to most profitable days of the week and most profitable hours of the day. Custom developed landing pages and landing page testing. Custom scripts for detailed account monitoring. Use of advanced bidding algorithms in specific areas. Remarketing campaigns to target users who didn’t convert on their first site visit. Negative keywords to weed out low-quality ad spend — currently 4,084 negative keywords used account-wide. Scheduled deep-dive account audits with personal Google rep, either over the phone or in person. Testing of various new Google betas before they are available to the regular public or other competition. 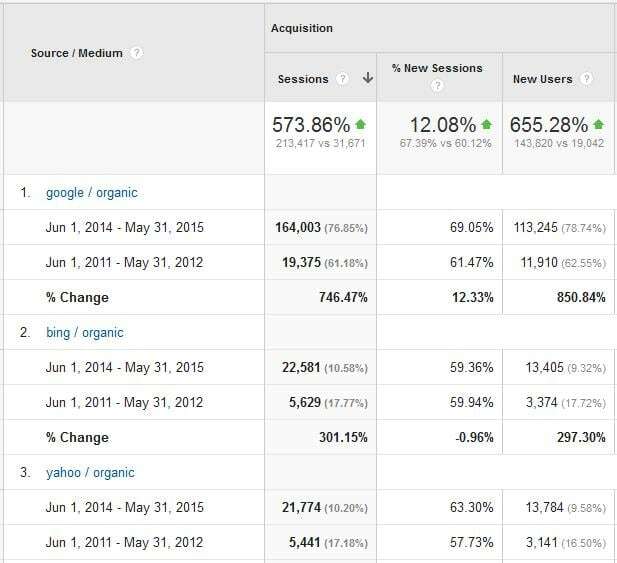 Since taking over SEO management in June 2012 for this client, organic traffic has risen more than 570% in total. This is business-changing traffic – and a small company now turned into a major player. This is what continual SEO optimization can do. Game-Changing Numbers: Through on-site and off-site optimization, all organic traffic sources are up considerably from the year prior to starting our SEO services. Always Pushing For More: Our goal is to continually improve SEO results. Once we have ranked high on keywords, we expand our target keywords while maintaining current high rankings. We highlight the above time frame because the results took place during several major Google algorithm changes. By using best practices and staying clear of black hat techniques, the client avoided setbacks during algorithm changes and continued to improve results.